London. 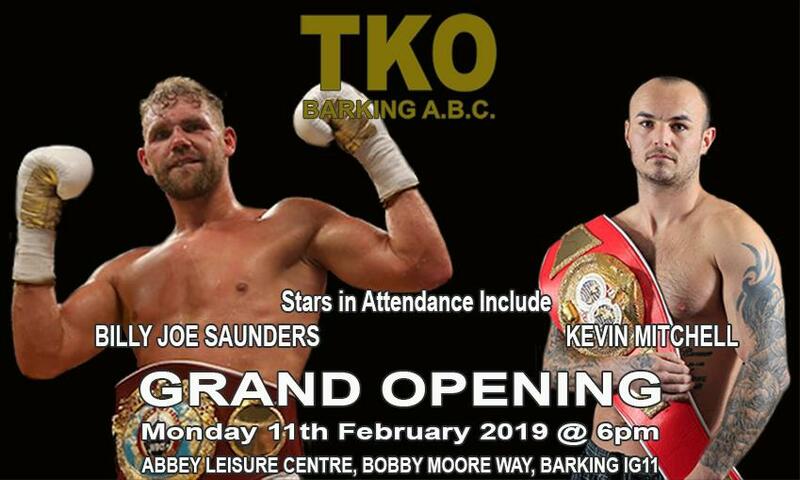 Wednesday 6th February 2019 - Former WBO World Champion Billy Joe Saunders and former IBF and WBO Intercontinental and WBC Silver Champion Kevin Mitchell will be amongst the local boxing stars turning out for the launch of the new TKO Barking A.B.C. In addition to Saunders and Mitchell, other big name local stars, who all supported Johnny and the TKO Gyms efforts to move to new premises in Barking, following Barking Council's decision to redevelop the Abbey Sports Centre, where the club was previously based until late last year, are also expected to attend the launch of TKO Barking A.B.C.